Over the past couple of years, Olena and Marianna have each created a valuable podcast about raising bilingual children that features dozens of interviews with experienced parents and experts in the field. They have both put a tremendous amount of work and passion into these podcasts, which can be listened to freely at anytime by anyone in the world. I not only congratulate them on the continuous quality of their shows, I applaud them (and all their guests) for giving us such a wealth of helpful stories and perspectives. If you’re not already engaging with their work, I wholeheartedly recommend that you make a habit of listening to these two podcasts. And while this recommendation applies to all—since all of us can find value in the content—those not routinely reading books and blogs are particularly encouraged to establish this listening habit in their lives. 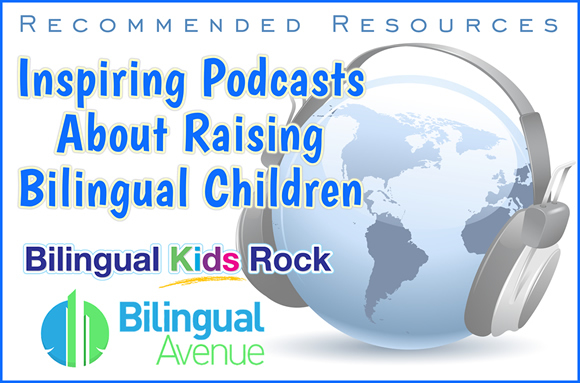 Informing ourselves on the subject of raising bilingual kids is vital to the success we seek, and these podcasts not only inform, they inspire. Since Olena and Marianna are usually the ones asking the questions, I thought it would be fun, and insightful, to turn the tables for this post and interview them. They both kindly responded to my questions, via email, and the result is a very interesting look at the “backstage lives” of the creators of these two popular podcasts. OLENA: Well, you know how people who move to a different country for work are called expats? I call myself a “love-pat” because I left my home in Ukraine and joined my husband in the United States, his country, to build our family nest. Our meeting may have seemed like pure accident, but I’m pretty sure it was destiny. Because even though we didn’t know each other’s languages very well then, our souls were “speaking” the same words. Now, 12 years and four children later, we’ve blended our cultures and languages into a happy home life. I speak, read, sing, play, teach, discipline, and laugh in Russian and Ukrainian with my kids, and my husband does these things in English (and he’s very supportive of our multilingual lifestyle). MARIANNA: I was born in Caracas, Venezuela where I spent the majority of my childhood as a monolingual, speaking only Spanish. Then one day, over 20 years ago, my family and I moved to the United States and so began my adventure and passion for language learning! My love for language started with my own experience and grew into a desire for teaching others, which is why I spent several years in the classroom teaching dual language learners. Yet I’m now facing the most challenging yet rewarding facet of my life, that of a bilingual parent. My husband and I are blessed to have two wonderful children, a 3-year-old daughter and a brand-new 5-month-old son! We use the “one person, one language” approach for English and Spanish and a splash of German here and there! When did you start your podcast on this subject? Why did you decide to pursue this? 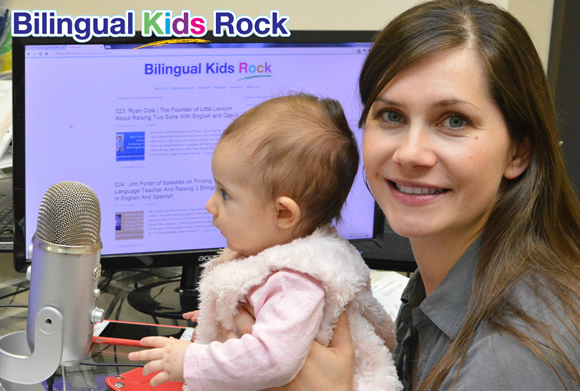 OLENA: The Bilingual Kids Rock podcast just celebrated two years. I started it when I was expecting our youngest daughter. That probably explains why she’s so vocal now—she was listening to my podcast even before she was born! There are three reasons why I started the podcast. First, when I began the Bilingual Kids Rock blog, I met many multilingual parents and bloggers whose stories were incredibly inspiring. I talked to quite a few of them in my early blogging years and really enjoyed our casual and friendly conversations. There was something about real life conversation that simply couldn’t be transferred to paper (or to screens in our digital time). Hearing a person’s voice, accent, laughter, and spontaneous stories was such a powerful way to learn about someone’s multilingual experience that I wanted to recreate this experience for my readers. Second, after I had children, audio books and podcasts became my preferred way to educate and entertain myself. I could cook, clean, do laundry, drive my kids where they needed to go, and still listen to my favorite books and shows. And third, at the time there weren’t any other podcasts about raising bilingual and multilingual kids. So I decided to start my own and interview parents, educators, authors, and others who I could learn from on this subject. And the Bilingual Kids Rock podcast was born. 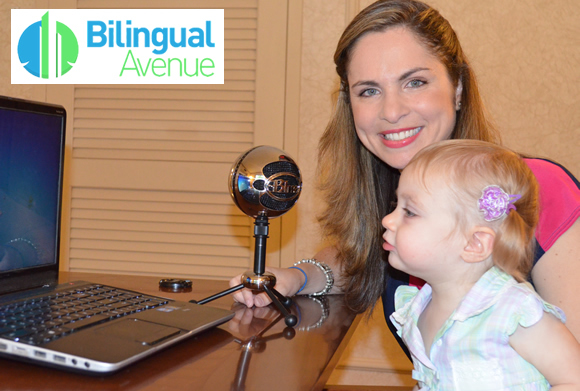 MARIANNA: The very first episode of the Bilingual Avenue podcast was released on October 7, 2014! I started the podcast on this topic based on my experience as a language learner, bilingual educator, and now multilingual parent. When my family moved from Venezuela, searching for the American dream, education was at the top of our list! Unfortunately, the school in my new community was not equipped to meet the needs of language learners. The sixth, seventh, and eighth grade language learners were all placed in a trailer behind the school. Instead of learning English, our teachers spoke Spanish to us and showed us movies most days because it was the easier thing to do. Thankfully, my parents were very supportive and I had some great teachers in high school who really helped me. I caught up to my peers in English and even minored in French in college! I was on a pre-law track until my senior year of college. I was walking down the hallway one day when it hit me: I was meant to go into the classroom and teach. I was meant to help other children who may be in a similar situation to the one I had been in. I knew that, because of my experience, I could help them and advocate for their needs. Even though I’m no longer in the classroom, when the time came to raise my own children, I knew I wanted them to be bilingual. I was excited to apply the strategies I had learned through my Masters in Education and in the classroom with my own children. But one thing that I kept coming across as I prepared for the arrival of my first child is that most multilingual parents feel alone on their journey. Many of them end up giving up! Once again it hit me! 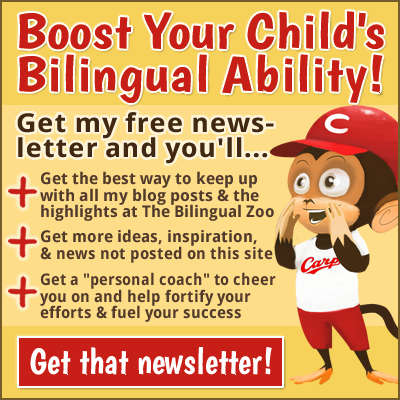 If I could do anything to help bilingual parents, then I should set out to do so! One time while visiting my parents in Florida, my father, who loves tech gadgets, showed me a podcasting microphone. As soon as I saw it, I knew that podcasting would be my way of helping bilingual families around the world. Was it hard to set it up and get it going? MARIANNA: Sorting out the technology, where and how to host the podcast as well as how to put it all together was very time consuming at first. I started working on the “backstage” part of my podcast for about four months before I launched my first episode. I was a podcast enthusiast prior to launching mine but I really had very little background on how to set one up so I had to learn quite a bit in a short amount of time. 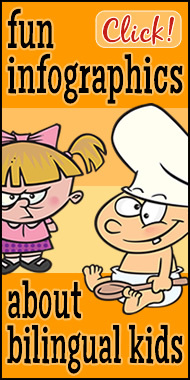 I set October as a target launch date since it is recognized as “Celebrating the Bilingual Child Month”! OLENA: The initial setup took me several weeks. It wasn’t difficult but it definitely was time-consuming because I’m not really a tech person. But my husband was a great help during this process as he’s an online entrepreneur and I can “pick his brains” at dinner. Now that I have a system that takes me from recording the interview to submitting it to iTunes to sharing it with my audience, it doesn’t take as much time or effort. I set up a small recording space in the basement of our 110-year-old Victorian house and invested in some equipment to create a good quality show. This took several days of work, but I now have a dedicated space that’s always ready when I need to record. How many people have you interviewed so far? How do you find your guests? OLENA: So far I have 35 episodes, most of them interviews with parents and educators around the world, along with several shows featuring a Question and Answer in response to readers. 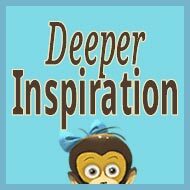 As I got deeper into blogging, I realized, “Wow! 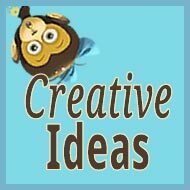 There are so many great blogs out there! I want to learn from these people!” Since then I’ve been able to meet so many passionate bloggers whose goals are promoting multilingualism and raising global citizens. I just contact potential guests and ask them for an interview. The online communities I joined have helped a lot with finding guests, too. I’ve also done a few interviews with people that I know personally. MARIANNA: To date, I’ve released 110 episodes, with a new episode released each week. The episodes consist of interviews with experts, interviews with multilingual parents, and Question and Answer responses. Of these, I’ve interviewed 30 experts in different fields of bilingualism. I love variety and have had experts from all walks of life including language researchers, bilingual educators, psychology professors, language software developers, bilingual celebrities, authors, polyglots, language curriculum specialists, linguists, multicultural relationship experts, speech and language pathologists, language app developers, third culture kids, parenting experts, artists, and even a certified financial planner with tips for parents on how to save for your next language immersion adventure. I’ve interviewed 30 multilingual parents about their unique language journey, including my own father’s experience raising bilingual kids! I’ve also answered 50 listener questions through the Question and Answer episodes. Finding guests is one of my favorite things to do! I love getting creative about what type of information would be helpful for listeners and I do spend a lot of time searching. I’ve found my guests by combing through research papers, searching for useful books on Amazon, digging through social media, looking through the newspaper, listening to interviews on the radio, reading through blogs, collaborating with blogging networks, and of course Google! What’s the most challenging thing about podcasting? MARIANNA: Podcasting takes a lot of time! I’ve really tried to focus on creating systems to streamline my processes but even then, I estimate that a 30-35 minute show takes about four hours to produce! From finding the guest, drafting questions for the interview, establishing an interview time, setting up the equipment, recording the conversation, editing the audio, preparing the audio for iTunes and other directories, typing up the show notes page, creating the post, sharing on social media and with the guest, etc. OLENA: Balancing family and blogging is a constant challenge for me. I’m a mom first and I put my family’s priorities ahead of everything else. And with four kids there are a lot of family priorities! Also, having a baby on my lap all the time doesn’t give me much time to pursue my podcasting goals. I’m not sure why, but she loves to wake up from her nap right when I’m in the middle of a recording session! There was a period when I stopped podcasting for a while and focused exclusively on my kids. But I missed it tremendously. Especially when I would receive heartwarming letters from listeners who were waiting for more interviews and inspiring stories. There’s one particular case that motivated me to get back to podcasting. The lady sent me a message, saying that she had been a fan of Bilingual Kids Rock for a while and would love to chat when I had a chance. So we set up a Skype meeting (and it wasn’t easy to find a good time since I’m in the U.S. and she’s in Australia!). She told me that she’s running a Ukrainian language preschool for kids, and it’s the only one in Australia. Recently, she’s even been approached by Ukrainian officials in Australia with the offer to help her school. Her students are mostly children of Ukrainian descent and their parents want them to grow up connected to their Ukrainian heritage. And guess what motivated her to start her school? The stories on the Bilingual Kids Rock podcast. What do you find most satisfying about it? MARIANNA: Despite the fact that it can be so time-consuming, I love every minute of podcasting! The most satisfying part of podcasting is that I get to help multilingual parents around the world! With listeners in over 100 countries, I receive so much correspondence from parents who are finding the information helpful. My favorite types of emails are the ones that I get from parents who were about to give up on their language journey but the podcast has given them the motivation and hope they were lacking. I have had parents say that they were getting misleading information from those around them but the podcast has helped them to sort out what is normal and what isn’t normal development for bilingual children. I love it when a family tells me they felt alone on their language journey and the podcast reminds them that we are all in this together. I also feel like I’m serving multilingual families when they tell me they were struggling to stay creative on how to keep providing their children with exposure to the target language but the podcast gave them some new and refreshing ideas that they can add to their toolkit. OLENA: It’s very satisfying to know that I reach many people with my show and it benefits a lot of families. It’s a win-win situation, really, because it brings me satisfaction personally but also helps others. Meeting new people is a big factor, too. I’m happy to say that I become friends with the people I interview, and we continue to interact through social media. Because of these connections, many other good opportunities have come my way. What are the most important things you’ve learned from your guests? OLENA: I’ve learned that despite our different languages and cultural backgrounds, we’re all part of the same human family. Our goals in raising children with multiple languages are universal: We want them to become happy adults who use their languages as a useful tool for communication. I’ve also learned that there’s no single way to be a perfect parent, but hundreds of ways to be a good one. MARIANNA: I can honestly say that I’ve learned at least one thing from each and every guest I’ve had on the show. One of my favorite things is seeing how creative multilingual parents are even when they don’t realize it! 1. They have a clear vision of what they want their children to achieve. They’ve set big picture goals for their bilingual children and goals for themselves on how they’re going to help their children get there. 2. They have a language plan in place that they can execute to help them achieve those goals. Some families have an actual plan written down while others do not. But in both instances, parents and guardians are clear on things like their language policy, how they’ll create exposure and need for their children, who the main linguistic role models will be, etc. 3. They’ve surrounded themselves with a community that’s supportive of their language goals. By community, I don’t necessarily mean other speakers of the target language but individuals who value and appreciate the gift of language and will help families stay motivated and keep working hard at it. How has this work affected your own bilingual journey with your kids? MARIANNA: I feed off the energy from the multilingual parents who come on my show and those who write in. I say that motivation is a muscle, you have to strengthen it, and I leave every interview inspired. I’ve learned many new tips from my guests on creative ways to add exposure and need to my own language journey with my children. OLENA: One very practical way it affected my own journey is that I adopted a different system of speaking my two native languages to my kids. You see, I was raised speaking two languages, Russian and Ukrainian, and I had a really hard time deciding which language to speak to my children. 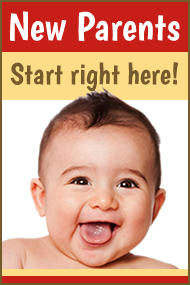 Conventional wisdom says that one person should speak only one language to a child in order not to cause confusion. Initially, I chose Russian over Ukrainian, because most of my family speaks Russian and this language is used more widely in the world than Ukrainian. But I had a nagging feeling that my kids were really missing out by not speaking or at least understanding Ukrainian. When I interviewed Maria Babin, I realized that I didn’t have to choose between the two languages. In the interview, Maria said that she’s the only person speaking two minority languages (English and Spanish) to her four children while living in France. Their system is very simple: she switches the language every two weeks. And it worked for them! Her children are on their way to becoming trilingual. So I immediately implemented this two-week rule. It wasn’t an easy transition, mostly because my kids are much more proficient in Russian and also because life happens and I forget to speak Ukrainian. But we didn’t give up, despite the difficulties, and we continued rotating the languages every two weeks. A year later, they have a much better grasp of Ukrainian and I hope, with more need, that they’ll be able to communicate in it, too. And for me personally, podcasting is like a hub of inspiration. I’m really grateful to all my guests for taking the time to share their knowledge with me and my listeners. Do you have any other advice for parents raising bilingual children? MARIANNA: Families now are lucky to be part of the digital age where information about raising multilingual children is much more readily available than it has ever been! Parents are generally pretty good about finding and getting their hands on books that can guide you specifically on the language journey. However, one area that is somehow forgotten is language acquisition and speech development in general. I personally think that before we can figure out how we’re going to raise multilingual children and what we need to do in order to do so successfully, we must understand how language is acquired. Having that information can really put your mind at ease and understand what’s normal and what’s not! 1. Build strong, personal relationships with your children so they really WANT to speak your language. Play, kiss, hug, talk, ask, read, smile—do whatever it takes to be your child’s trusted friend and authority. The language part will come much easier that way. 2. Educate yourself about bilingualism. 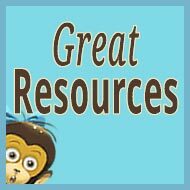 There are wonderful blogs, books, and communities that will help you make the right decisions about your bilingual journey. 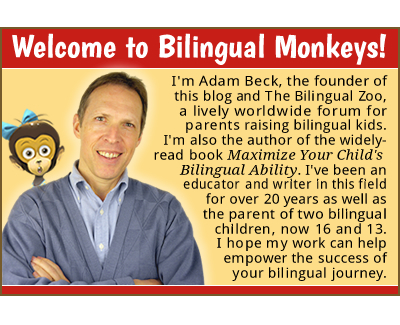 Adam’s book, Maximize Your Child’s Bilingual Ability, is a great resource for you to learn about bringing up bilingual children. 3. Stay consistent. Whichever path you choose to raise your kids bilingual, just stick with it. The small steps that you take each day may not be visible right now, but over time they bring tremendous results. What are your plans for your work, this year and beyond? OLENA: In my experience, one of the questions asked most often is: Why won’t my child SPEAK his second language when he understands it so well? This situation is called “receptive bilingualism” and, though it may be common, it creates a lot of stress in multicultural families. As a mother of four, I’ve experienced it first-hand. But being an optimist, I believed that it’s still possible to raise bilingual children who understand and speak the minority language despite a lack of exposure. Over a period of 10 years, I developed different interaction strategies, collected numerous vocabulary building games, established productive habits and routines, and opened a local Russian language class—all to help my children use their minority language actively. Right now I’m working on putting all that knowledge together into a step-by-step online course called “Bilingual Kids Talk.” I plan to open this course in April. Another exciting development at Bilingual Kids Rock is the second installment of the “Bilingual Reading Challenge.” I led the first one in 2014 and it turned out to be a big help to parents in establishing the important habit of reading aloud each day in the minority language. I organized it in the form of a Facebook group, where the participants comment daily with the name of a book they have read to their children. At the end of each week I post the results and everyone can see how consistent they’ve been with their reading. This public accountability really pushes people to keep up with this aim. 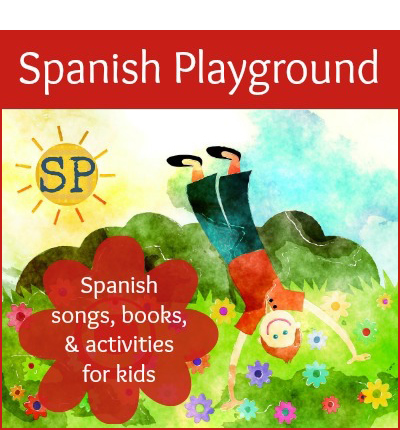 The “Bilingual Reading Challenge” will start again in March, and it’s free! For the farther future, I hope to travel the world with my family and visit all the people I’ve met through my years of blogging. And Japan is high on my list, Adam! MARIANNA: One of the main struggles I hear from families is that they are often the ONLY ones in their circle of friends raising bilingual children. They find it hard to stay motivated and find inspiration to overcome the obstacles that come when you are raising multilingual kids. Sometimes it can be difficult for parents to keep the target language at the top of their minds when they are balancing so many other parenting challenges. Based on this feedback, I have created the “Bilingual Avenue Member’s Club,” a community devoted to helping parents raise bilingual children in Spanish and English and making their language dreams a reality. Inside the community, parents have access to a library of in-depth training, videos, and practical advice on different aspects of raising bilingual children. 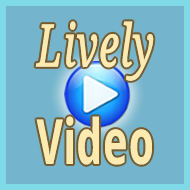 I host live monthly calls with members to answer their specific family language questions. I also personally help them set language goals and create a comprehensive language plan. The last and probably most important element is the community of like-minded bilingual families to help them stay on track! I’ve been working on this project for several months now and I’m absolutely loving the experience. I enjoy getting to know these families, helping them set goals and a plan that works specifically for their family dynamics, and celebrating all the amazing things their children are accomplishing! 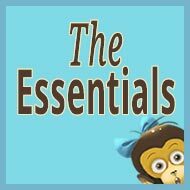 Thank you, Olena and Marianna, for joining me for this post at Bilingual Monkeys! Please keep up all your good work at Bilingual Kids Rock and Bilingual Avenue! How about you? Please share your thoughts with Olena and Marianna! I just subscribed to both podcasts. Thanks for this post! I’m expecting my first child in July. I’m a native English speaker but fluent in Spanish (and teach high school Spanish). I’ve looked around this site and it seems there are two scenarios for raising bilingual kids – each parent native in a different language (OPOL) or parents native in the same language living amongst another language. Any stories of success of families raising bilingual kids but one parent is speaking his/her second language rather than their first? As for parents raising bilingual children in a non-native language, there are plenty! 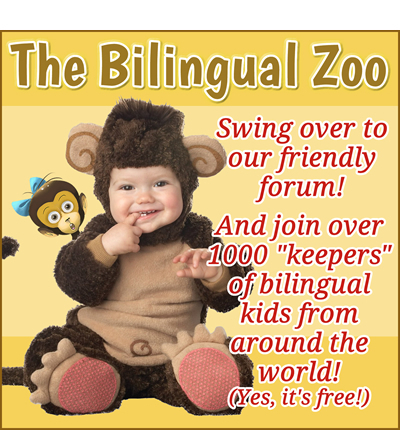 You’ll find a good number of parents discussing this subject at The Bilingual Zoo (you’re welcome to join us, too), and you’ll probably find Christine Jernigan’s book Family Language Learning worth a close look as well. I love podcasts. I already listen to more than 20 on a regular rotating basis. Podcasts are my main source of news and entertainment from my home country. 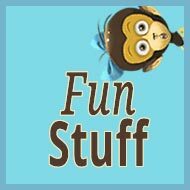 I am almost always on the move, so it’s great to be able to listen to a few minutes of a great educational program when I’m on my bicycle or on a train or just folding clothes or washing dishes. I am really happy to add these two to my regular rotation. Thanks, Marianna and Olena for creating such excellent, useful content!